St Dunstan’s, the charity for blind ex-Servicemen and woman, was named after a house, which was named after its clocktower. The clock was named after the church it came from in Fleet Street, St Dunstan-in-the-West. St Dunstan is the patron saint of jewellers and locksmiths, and has no connection with blindness. So although the charity was rather attached to its 100-year-old name, it had no real relevance to their work or their future. They undertook a major rebrand. By the time we were invited in to work with them, the trustees had already decided on the name: Blind Veterans UK. They needed to bring their writing style into line with their new brand identity. Spencer DuBois did the look and feel. And we got stuck into the tone of voice. Working with Spencer DuBois, Blind Veterans UK had already pinned down their values: committed, courageous, collaborative, resourceful. This made our job simpler. But when it comes to writing, translating these values into a tone of voice isn’t easy, particularly for people who aren’t copywriters but do a lot of writing at work. For Blind Veterans UK’s tone of voice guidelines, we developed a way to reflect their values and approach. Their visual style is bold, direct and modern – honest about the difficulties of losing your sight, whether it’s from old age or injuries in battle. So we worked with their communications team to make sure we focused on clarity, whoever we were writing to. We developed a positive, human approach and cut out jargon and bureaucratic language. Then we used this new tone of voice to write their new website and rewrite their brochures. At the same time, we designed and delivered tone of voice workshops to help staff start writing in a way that reflected their new brand identity. This change, after a history of almost 100 years, was quite a challenge. We needed to explain how people could change from their old familiar style to a more open, friendly tone – and convince them that it was a good change to make. Writing, like most other skills, improves the more we practise. In our workshops we started with a guide to how the new tone of voice would work, including plenty of befores and afters. We asked Blinds Veterans UK’s people to bring their work with them, so they could practise on real examples to use as soon as they got back to their desks. Letter writing, copywriting, emails and web text – everything needed to reflect the new thinking behind the brand, expressed in the tone of voice. 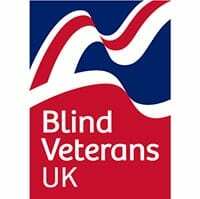 The key to all this was that the new brand style and the written tone of voice were both designed to help Blind Veterans UK be a more effective charity. Once people got this, they were right behind it. And that’s why it’s working wonders.